Whether your idea is simply scratched on a napkin or on a fully engineered CAD drawing, require either one or three different materials in one cross-section, we’ll make your idea take shape. Our technicians are available to assist you in developing a practical design, ensuring a superior finished plastic profile. Leonidis Tools&Plastics continually invests in plastic profile extrusion tooling equipment and personnel. What does that mean for you? You reduce product development costs while minimizing the time required for new plastic extrusion profile. The die development team considers the raw material, design complexity, and manufacturing nuances during tooling development. The process is often time-consuming as the tool may need to be tweaked multiple times to have the desired result. Once this process is completed, you can be assured of consistency day after day and year after year. 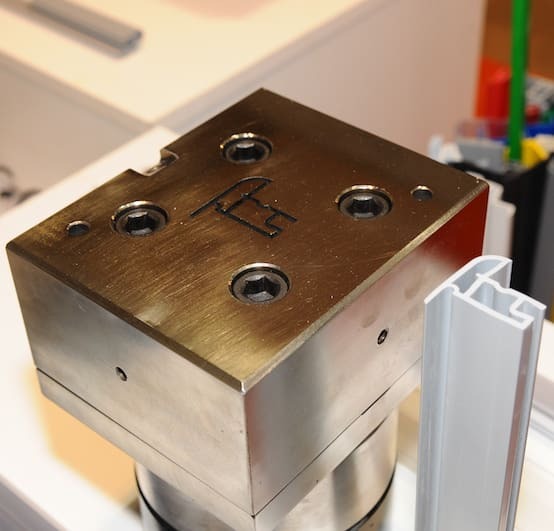 Whether produced by five-axis EDM or CNC machining with an experienced mold and die maker, Leonidis Tools&Plastics has the in-house plastic extrusion tooling capability. Our capabilities are among the highest in the Industry Standards for Plastic Extrusions. We strive to get your tooling cut right the first time and to build a die that will perform at peak levels for many years. Leonidis Tools & Plastics is a leading manufacturer of custom plastic profile extrusions for a variety of industries.